We’re so glad you’ve found the perfect wedding invitation but why stop there? Invitations By Dawn offers a wide selection of wedding envelope seals, labels and embossers so you can put a beautiful finishing touch on your wedding stationery. 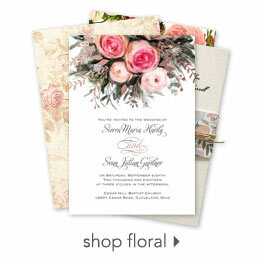 Envelope seals come in a variety of personalized and custom styles, from elegant floral to shimmering metallics. Our embossers are available in several designs and are personalized with your address. Both seals and embossers can be used on other pieces of your wedding stationery like rehearsal dinner invitations and thank you cards. Be sure to order extra so you can create a coordinated look throughout all of the stationery you send.